After selling out the last 2 years, we are back at our beloved Kralingse Bos for the 8th Edition! 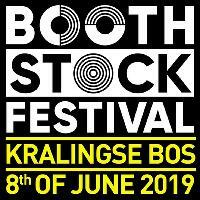 Boothstock is a house, techno, and urban music festival in Rotterdam. After selling out the past two editions, the festival is heading into its eighth year. Putting together a lineup of national and international party starters, Boothstock features five music areas all focussing on a different sound. Taking place at the scenic Kralingse Bos, the festival takes full advantage of its surroundings. If you need a break from dancing, try out some water sports or choose from over 20 food and drinks trucks spread throughout the site.